This is the third new housing start of 2013 with one house under construction just north of the TMSS playground and a new house now getting its interior finished on the corner of Newmarket and Ferry Glenn. This new house is on the East side of Newmarket. This will not mark the end of construction in this part of Tisdale because the new area east of Newmarket is fully developed. 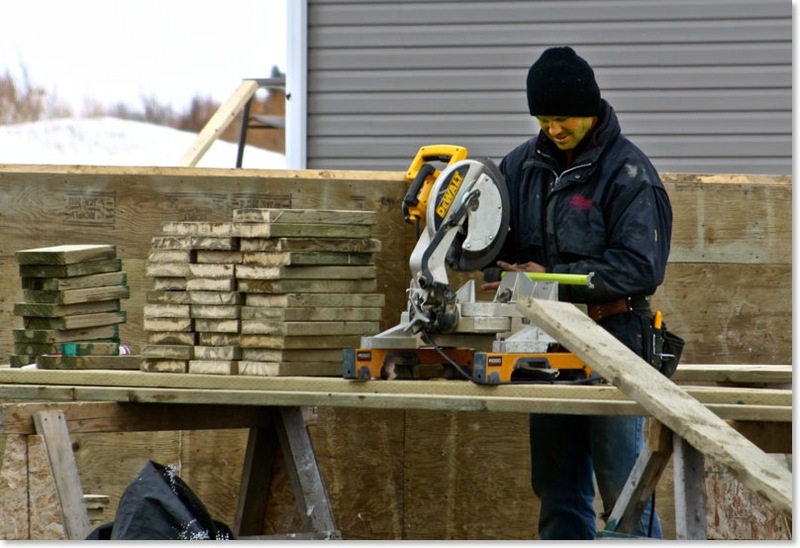 Over the past two years the town of Tisdale has laid out a new neighbourhood that now has water and sewer, electricity is nearly completed and gas lines have been run into the area with streets to be developed this coming summer. 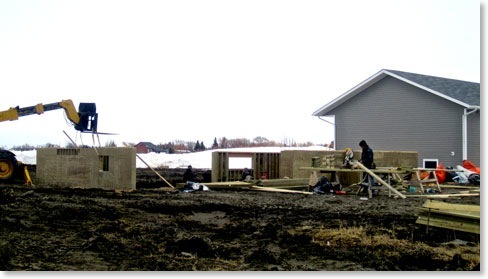 Despite the low temperatures the work on this new house has moved along at a quick pace of the past week. 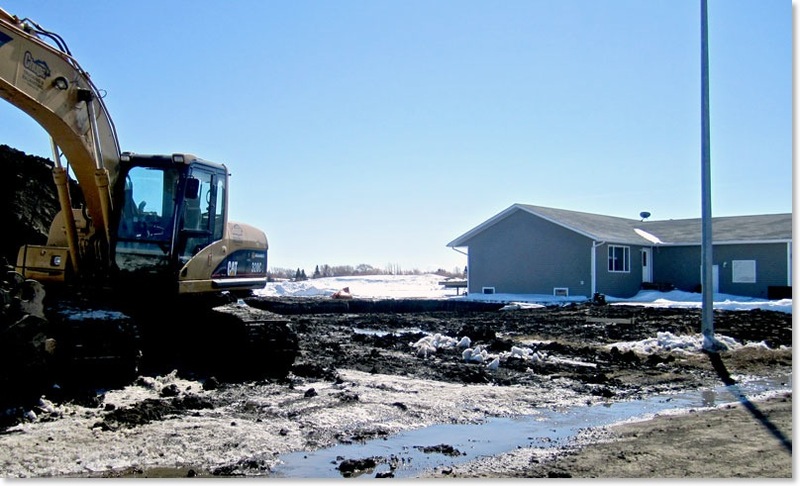 The heavy snow cover this year has meant that the frost did not go down as deep as it does in other years and that means that building footings and basements can be done quickly. Farber Construction is carrying out this project and as you can see they are well on their way to completing the new wood basement. Last year we did not do the usual stick by stick documentation of housing starts. We will from time to time get you some pictures to highlight the progress on new houses but I will not have the time to give this task a proper day by day construction log.